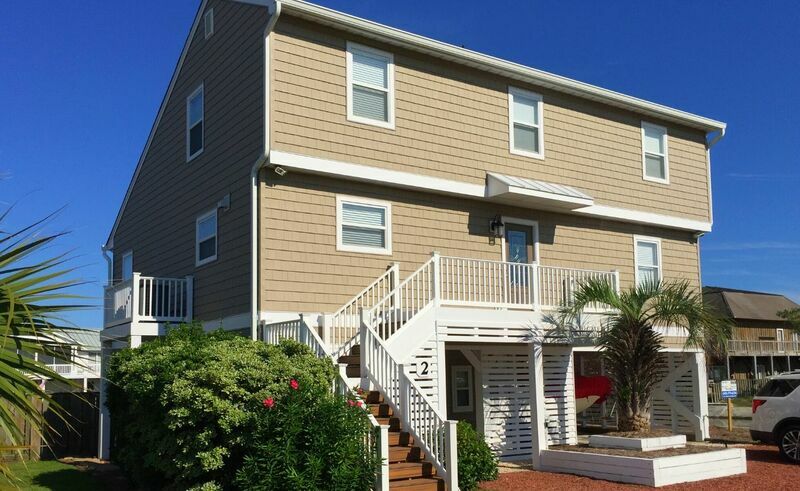 This lovely, upscale 3 Bedroom, 2.5 Bath canal home has a private swimming pool with enclosed outside shower, beautiful entertaining / sunbathing and covered decks, and boasts not 1 but 2 private boat docks. It has direct street access to the beach and even has a shaded picnic table and grill on the property - perfect for outdoor summer barbecues and poolside family dining. A complete kitchen renovation has just been completed for 2013 featuring all new stainless steel appliances, spacious cabinets, tile floors and granite countertops. The home sleeps 11 comfortably and all bedroom mattresses were just replaced and upgraded to Stearns & Foster's, top of the line, "Hotel Collection" sleep sets. Bedding is King, King and single daybed, 2 doubles, bunk beds. This well appointed home also has a large open living space with a fireplace, flat screen TVs, DVD, stereo, wireless internet access, DVR, premium cable channels including Showtime programming and unlimited long distance nationwide. Bathrooms were also newly remodeled and feature granite countertops and beautiful light fixtures. The home also has washer/dryer, dishwasher, microwave oven and high chair. Completely Non Smoking! Absolutely no pets on the premises. Parking of cars or trailer in the yard is prohibited due to sprinkler system. Wedding and other groups prohibited. Maximum occupancy of 11 people in the home, and no more than 15 people at any time on the upper deck.